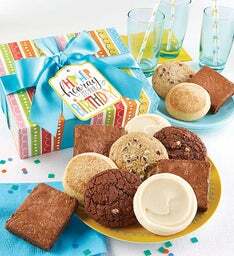 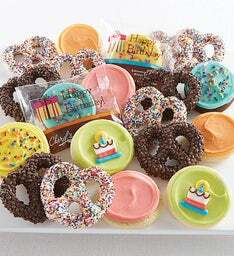 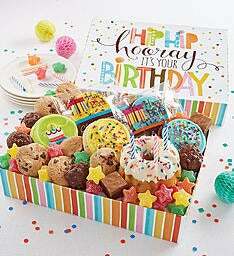 This charming gift tower arrives with a tasty assortment of cookies and snack size brownies! 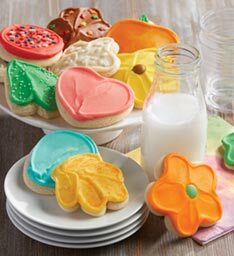 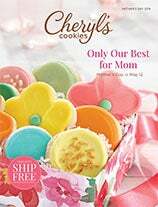 Your friends and family will enjoy buttercream frosted key lime, orange citrus, lemon burst, vanilla, and strawberry sugar along with classics like chocolate chip, oatmeal raisin, chocolate chocolate chip and sugar cookies. 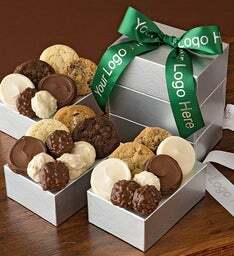 We’ve also included snack size fudge brownies, sweet and salty pretzel clusters and hand decorated crunchy bunny and tiger sugar cookies. 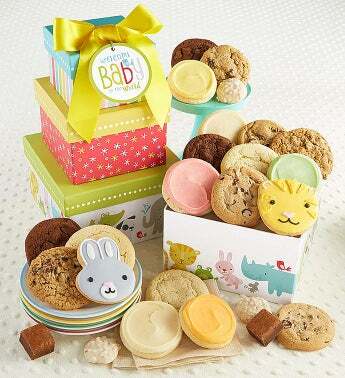 Add a cuddly elephant or bunny just for baby.